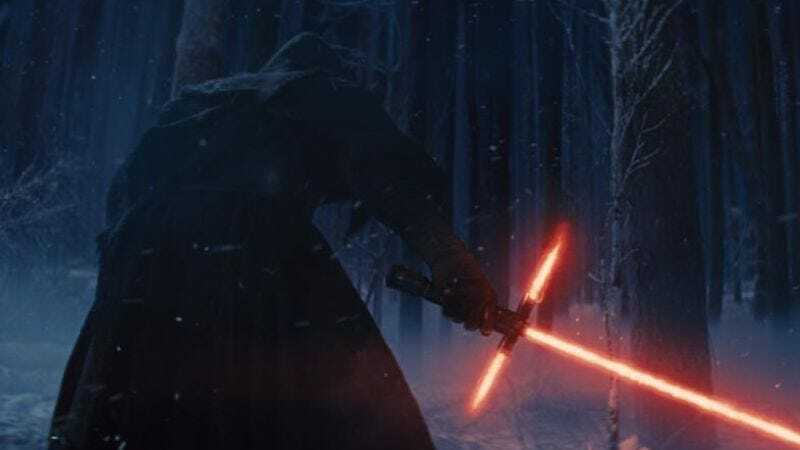 There’s been plenty of speculation about who Kylo Ren, one of the new bad guys featured in The Force Awakens, actually is. As he’s been known to do, director J.J. Abrams has been keeping most of the details on the newest entry in the Star Wars saga close to his Corellian spacer vest. However, the director is slowly revealing details on the nature and backstory of the new man in black. “Kylo Ren is not a Sith,” Abrams tells Empire (the magazine, not the Empire). “He works under Supreme Leader Snoke, who is a powerful figure on the Dark Side Of The Force.” Snoke is a performance-captured character featured in the new film and is being played by Andy Serkis (According to Empire, he’s also the character delivering the voiceover in the first Force Awakens teaser trailer.) Abrams explained to Entertainment Weekly a few weeks back that Ren is part of a group called the Knights Of Ren, and that Ren is a title similar to the way Darth is with the Sith. Of course, Kylo Ren’s real name remains a mystery, implying that he will soon be booked as a guest on the Star Wars equivalent of Maury Povich. Not using the Sith as the big bads in the newest Star Wars adventure is more than likely another case of Abrams sidestepping elements of the prequel trilogy. (He has already stated in interviews that there will be no midicholrians mentioned in the new film.) While the term Sith first appeared in early drafts of The Star Wars as well as Alan Dean Foster’s 1976 novelization, the concept of the Sith known to fans—including the rule of two—wasn’t really defined until 1999’s The Phantom Menace. In some Expanded Universe tales, the Sith were actually an alien race that worshipped “dark Jedi” and were meant to appear as villains in Timothy Zahn’s Heir To The Empire (Lucasfilm forced them to change the name of the species to Noghri). The term Sith-lord even appeared in a Star-Lord comic predating the Star Wars novel by three years. When exactly does The Force Awakens come out again? Oh well, there’ll probably be some ads on TV about it.